The extra large bag in our range of white paper bags, made with eco-friendly, recyclable packaging materials. 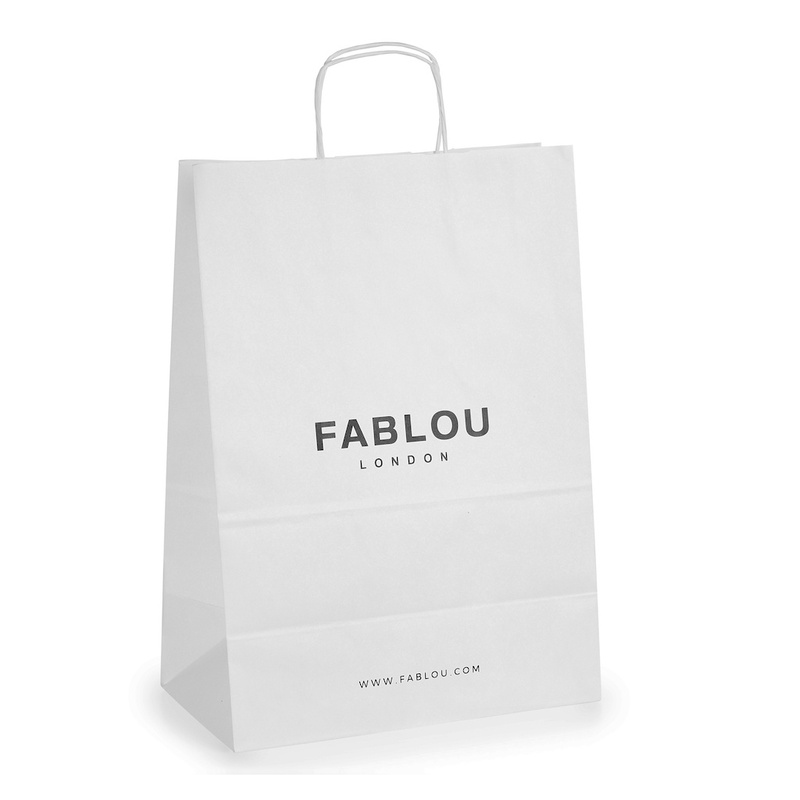 Our white paper range is made from sustainable white paper with white twisted paper cord handles, giving a ‘green’ image to your marketing campaign, whilst serving many practical uses. Example price for a product with one colour print on one side. Our standard lead-time is 10-14 working days from order and it's free.